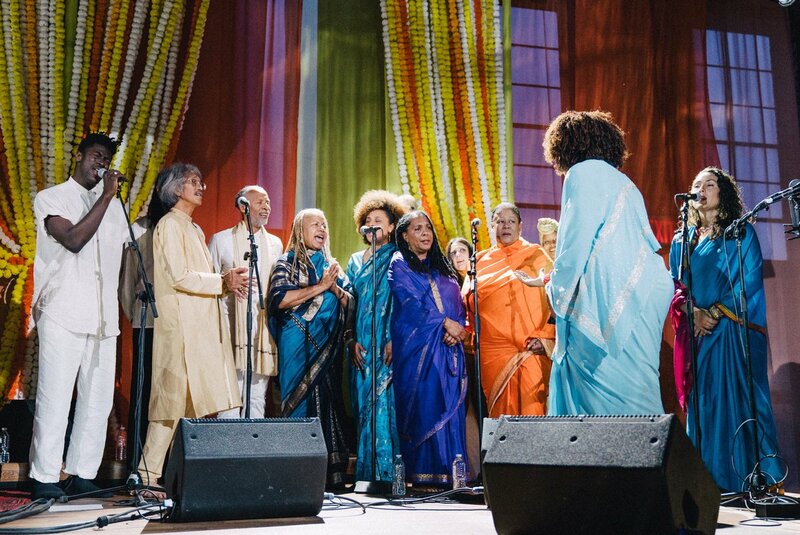 In a recent interview with Noisey, the Sai Anantam Ashram Singers reflect on the inspiring and influential Alice Coltrane: "I hadn't really realized what an inventive music it was, and how special it was. I wasn't really ready for it when I first heard it," Evelev reflects. "But at this time that the world is in right now, it just feels like this is the perfect time for this sort of music to be more available to people." Read the full, impressive interview here. The Sai Anantam Ashram Singers will perform The Ecstatic Music of Alice Coltrane Turiyasangitananda at Le Guess Who? 2017. Also performing at the festival are a.o. Pharoah Sanders, Linton Kwesi Johnson, Les Amazones d'Afrique, Shabaka & The Ancestors, and many more.